Deepak Dobriyal said, "I am tired doing this part of Pappiji. I am a little irritated with the character"
Actor Deepak Dobriyal, best-known for playing Pappiji in Tanu Weds Manu series, is not keen on reprising his role again if the third part of the film is at all made. Deepak told news agency PTI that he now wants to do films of different genre. "I am tired doing this part of Pappiji. I am a little irritated with the character as there is no start and end to this person's life - like why is he a loser in the film, where is he from, what about his parents. I will not do it (third part). I am tired. I have left that character of Pappi in 2015. I will do comedy but of a different type," he said. 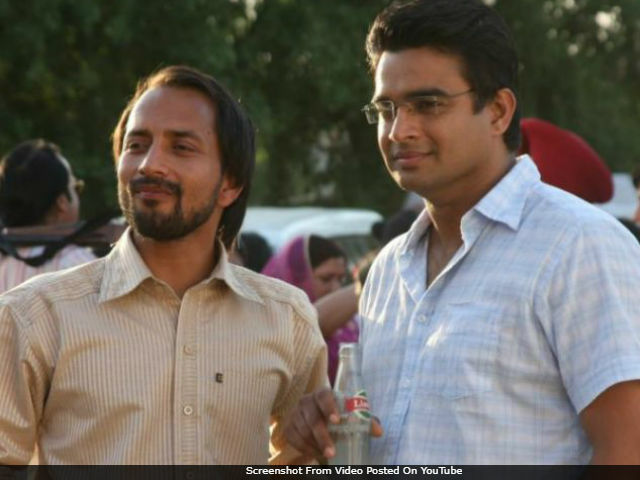 Deepak Dobriyal first played the role of Pappi in Tanu Weds Manu (2011) and later reprised the character in Tanu Weds Manu Returns (2014). He earned a lot appreciation with the role and won an IIFA award for best Performance in a comic role. Of his character in the films, Deepak told PTI, "I was playing this light-hearted part in Tanu Weds Manu and then in its sequel and was getting more or less similar kinds of offers. I agree I got a lot of popularity and roles due to this franchise but I don't want to do it again." This year, he starred in Irrfan Khan's Hindi Medium. "I want to come out of this comic avatar space as it was getting repetitive. It was Hindi Medium that broke the perception of me being a comedy actor. If I get to do a different kind of comedy in a film then only I will do it." Deepak Dobriyal is currently prepping for the release of Farhan Akhtar's Lucknow Central, which hits the screens this Friday.